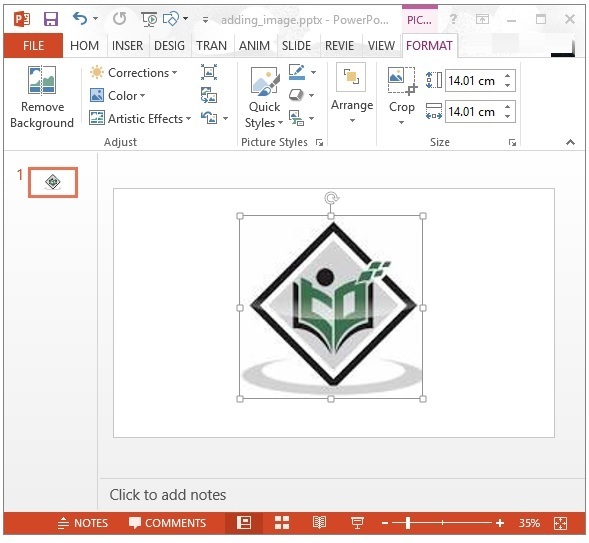 In this chapter, you will learn how to add an image to a PPT and how to read an image from it. You can add images to a presentation using the createPicture() method of XSLFSlide. This method accepts image in the form of byte array format. Therefore, you have to create a byte array of the image that is to be added to the presentation. Create an empty presentation in it using createSlide().